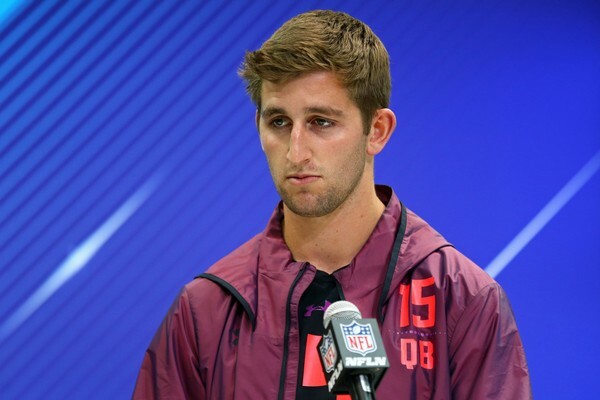 (SP) – NFL draft prospect Josh Rosen held a special workout for NFL scouts today at the UCLA campus, running through a short series of passing drills before inviting all the assembled scouts over to a table to watch him eat a large bowl of lead paint chips mixed with milk. The scouts in attendance said they were very encouraged by Rosen’s display and now see him as the top quarterback in the draft. Hours after the paint chip-eating, however, Rosen told several reporters that it was just a ploy to boost his draft stock. Asked if he was worried that admitting to reporters that he didn’t eat lead paint chips would undercut the entire point of the display, Rosen said he was not. “I’m fairly certain no NFL scouts can read,” he said.